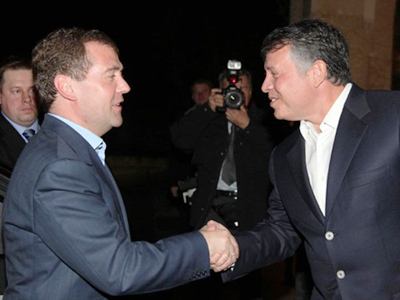 Russian President Dmitry Medvedev celebrated Epiphany by dipping into the Jordan River while visiting Jordan as a part of his trip to the Middle East. Epiphany is the most important religious holiday for Orthodox Christians, and 40 kilometers outside of Amman, where the talks between Medvedev and King Abdullah II of Jordan took place, is the site which is believed to be the place where John baptized Jesus Christ in the Jordan River. Every year the site attracts a vast number of pilgrims who come here to mark this day. 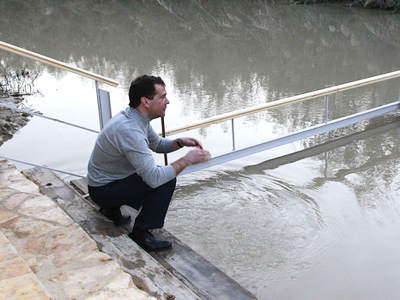 This is the first time Medvedev has made the pilgrimage to the Jordan River. 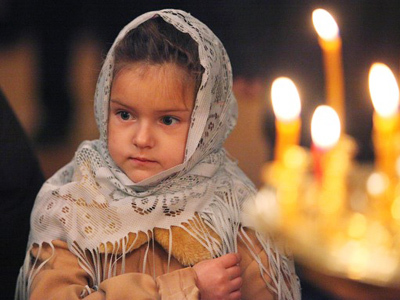 As an Orthodox Christian he is known to celebrate major religious holidays, and is very keen on visiting sites of religious importance around the world. 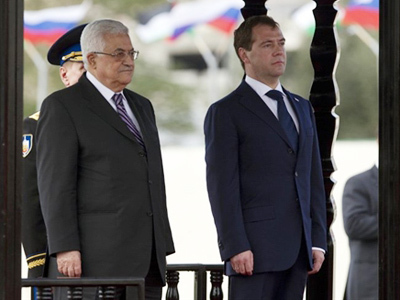 Medvedev’s trip to the Middle East started on January 18, when he held talks with Palestinian leader Mahmoud Abbas. Medvedev had originally been scheduled to visit Israel, the Palestinian territories and Jordan, with Israel scheduled as the main stop on his tour, but Israel had to be dropped from the agenda due to an ongoing strike by Israeli diplomats.